Video Site Script is a new video content management system. 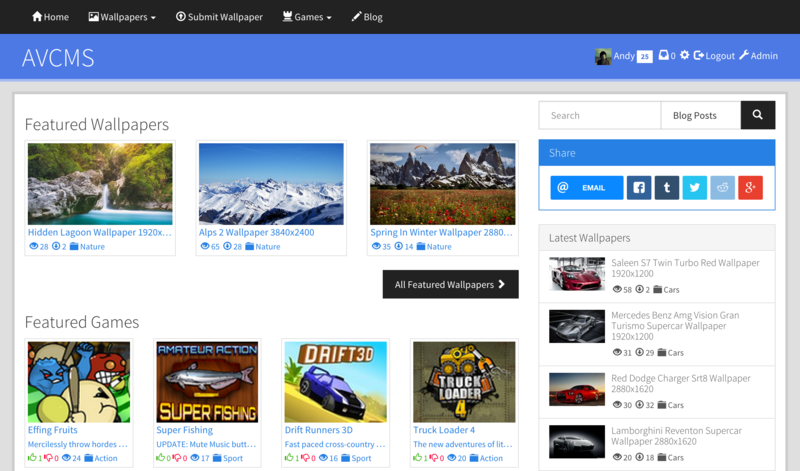 It doesn't aim to be a YouTube clone, you create your own website exactly how you want. 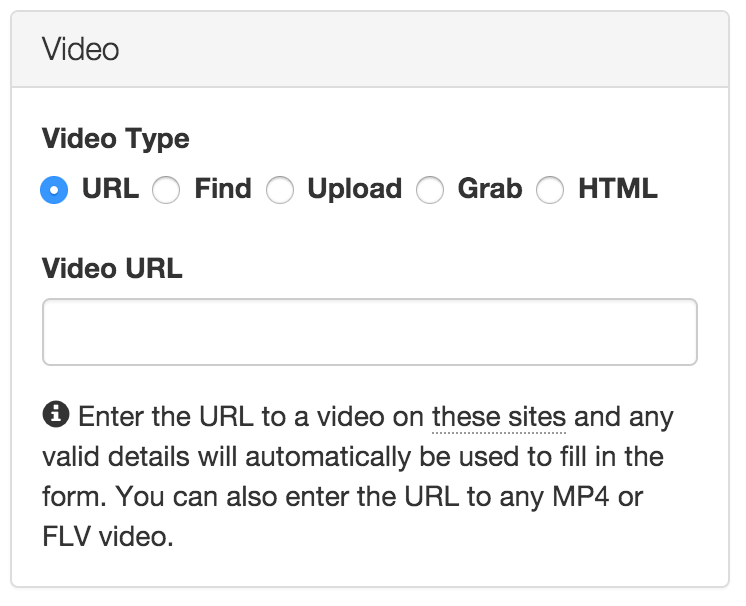 Just paste the URL for a video on any supported website and AVCMS will automatically grab the video info. So there's no need to find the right embed code or type in the video title, description, tags, duration etc. It's all done automatically! Video Site Script can automatically fetch details from Dailymotion, Funny Or Die, Metacafe, Vevo, Vimeo, Vine and YouTube. Contact us to suggest another site we should support. With Video Site Script you can bulk upload files from the admin panel and create folders. When you've uploaded a selection of files you can then import them. When importing, you can use data such as the filename or image dimensions to populate details like the video names, descriptions & tags. Note: For simplicity, VSS does not currently support re-encoding videos. The video must already be in a supported web format. You can also schedule content to be published at a certain time in the future. Useful for keeping your site updated even when you're away. 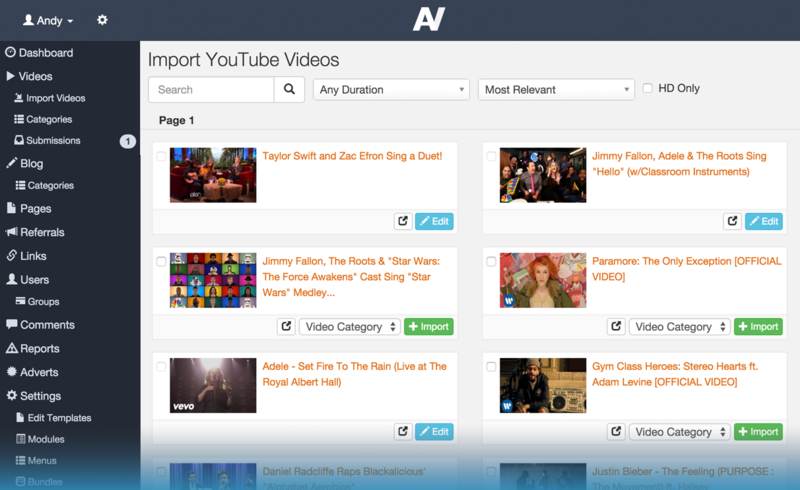 AVCMS is our new content management system that powers Video Site Script. Below are just some of the features. Responsive websites adapt to the screen so they look great on screens of all sizes. 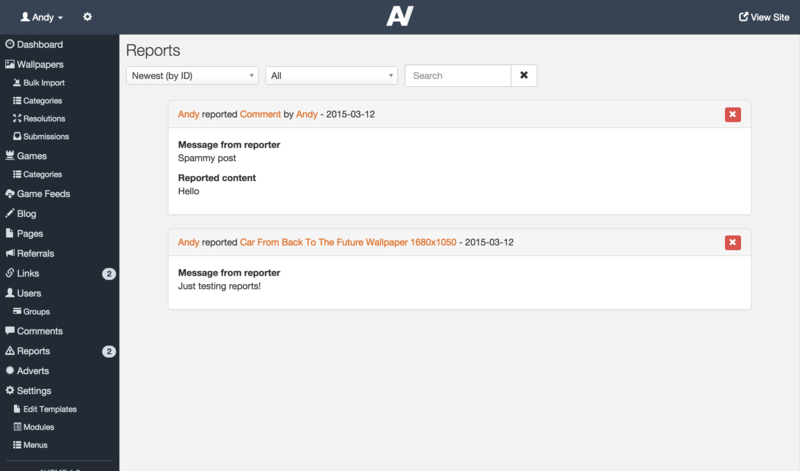 AVCMS is responsive on both the frontend and the admin. So you can manage your site on any device and your visitors get the best experience. You can add/remove/edit & reorder numerous sections of the site. 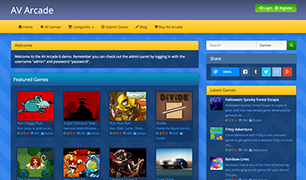 For example, you can choose exactly what should be on the homepage of the site, or in the sidebar of the site. Some of the modules included are a share module (for sharing to Facebook/Twitter & more), a menu module (create custom menus), HTML module (add any HTML) and modules for content so you can create sections like "Top Blog Posts". All modules come with tons of settings like how many blog posts to display, what order, what template style and lots more. 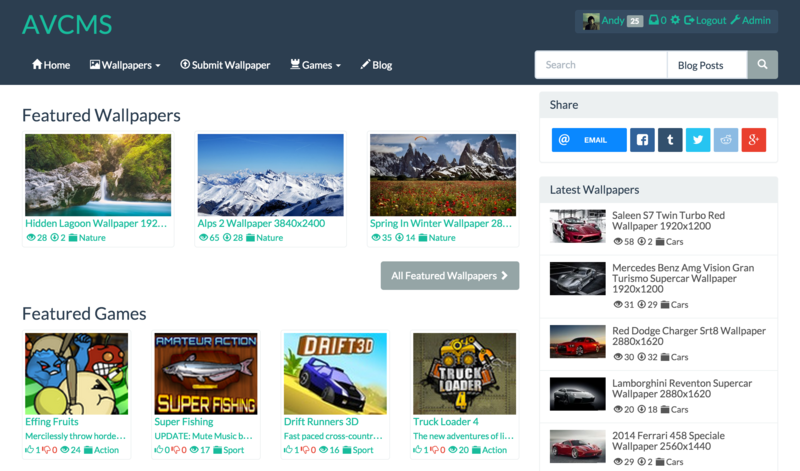 Users can register and set up their profile with an avatar image and cover image. You can optionally enable logging in with one-click using Facebook. As the admin, you can set-up permissions to allow or deny access to certain functionality & sections. The AVCMS admin panel is unique & powerful. Page loads are kept to a minimum meaning you can manage most content without moving away to a completely separate page. You have control over tons of settings and options and managing content couldn't be easier. 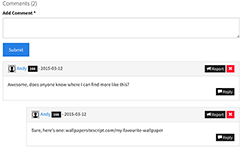 Users can comment on the main content types. 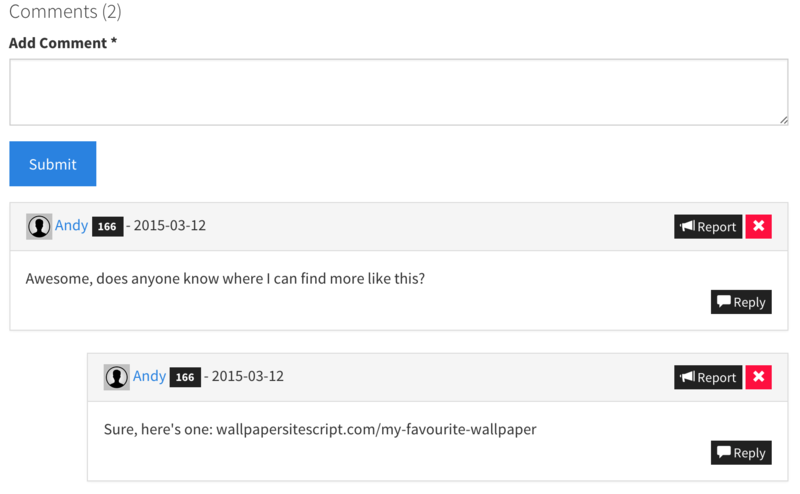 Comments load as the page is scrolled via AJAX and users can reply to other comments. Users can send reports for things like rule-breaking comments or broken content. Users can submit their website for link exchange. AVCMS tracks incoming and outgoing clicks and will give the sites that send you the most traffic higher priority. The front-end of your site can be translated into any language using our simple tool or by downloading a language someone else has translated. Check out current translations, or create your own on the translations website. 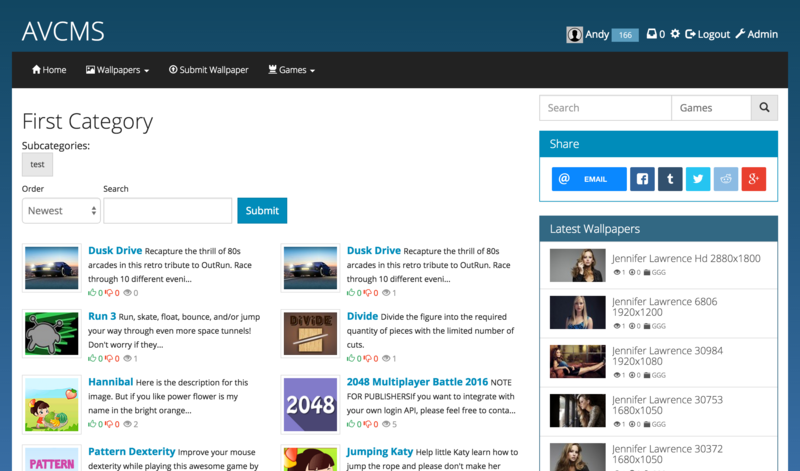 A fully featured blog system with comments, tags, full HTML editor & more. Add any advert code via the admin panel and then display the ad in any module position on the site. AVCMS includes a number of templates and you can edit all the template files in the admin panel. Below are some examples. 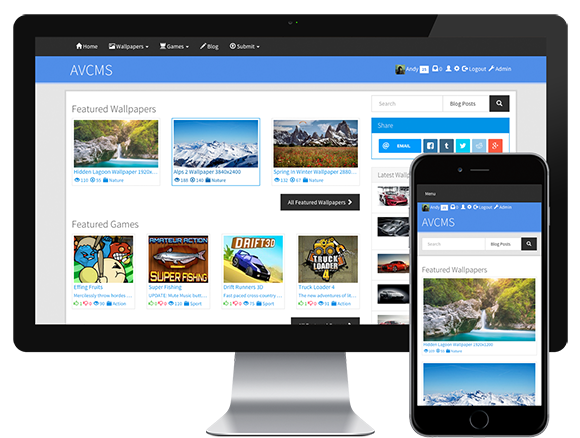 AVCMS is search engine optimized. Clean and tidy URL's are standard, meta tags are used throughout and and sitemaps are generated for your site's content. Unlike some commercial products, you can edit any file in AVCMS. No files are encrypted. 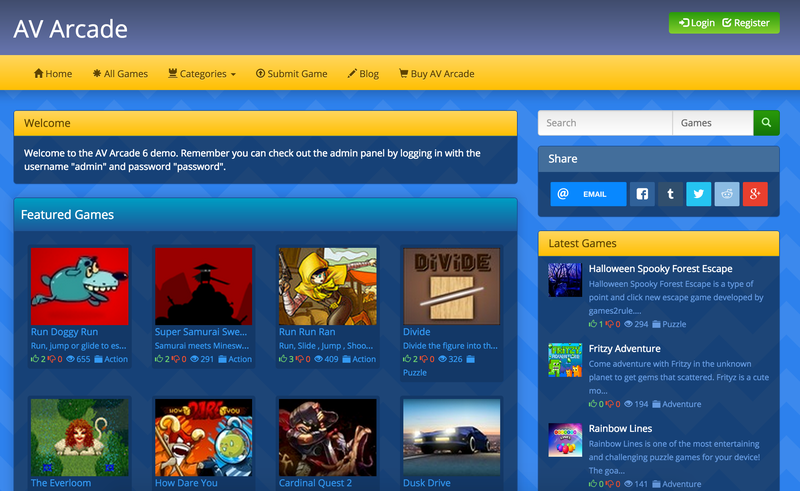 All the menus on the site are totally customisable. Create links to any page you want, choose the icons, the order, and more. Add custom pages to the site that can display any HTML you want. You can create links to these pages from any menu making them a native part of your site. Registered users can vote content with Like or Dislike ratings. You can create categories in the admin panel for your content, reorder them and create sub-categories. Content can also be tagged with a list of words or phrases, allowing more ways for users to find content on your site. Users can send private messages to each other and add each other as friends. Like most features, these can be optionally disabled. 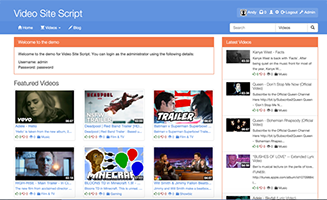 The best way to learn more about Video Site Script is to check out the demo. Includes every feature mentioned on this page. Bulk discounts are avaliable if you would like to purchase multiple licenses. Only $25 for a limited time! 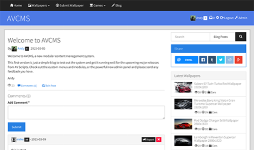 AVCMS is our content management system that supports multiple media types. 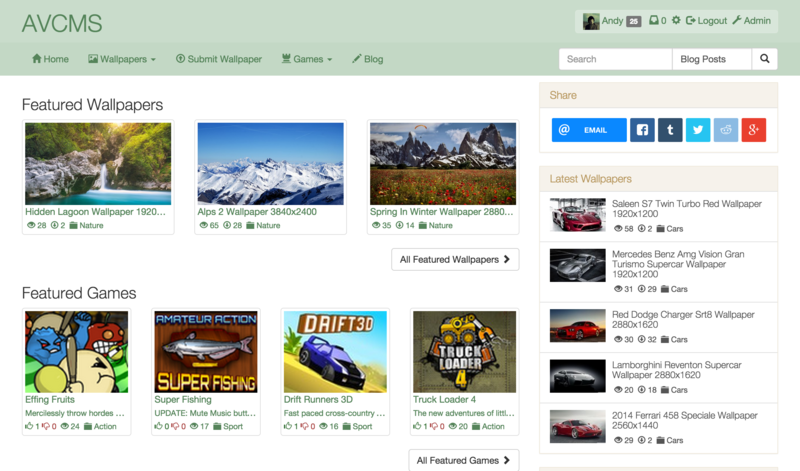 AVCMS currently supports Images, Wallpapers & Games. Video Site Script runs great on shared hosting, but a VPS will always provide better speed and performance. How long do I get support & updates? You get unlimited support and updates. The only time an update will be paid-for is if the script is massively overhauled. The last version got massive free updates for 4 years! Can VSS convert videos into different formats? The aim of Video Site Script is to allow for easy embedding and uploading of videos that are already in the correct format. At this time it cannot convert videos to different formats. Support is done through the forums. I purchased copyright removal, now what? Once you have installed the script click on the cog icon in the top-left of the admin panel and select "Copyright Removal" to edit or remove the copyright notice.